Priced to sell, this loft condo unit is steps away from NJT trains to NYC. Not FHA or VA approved. Cash or Conventional financing only. Pre-approval requirement for showings by appointment only. This fabulous loft condo was recently updated and renovated with owner's exquisite taste and attention to detail. 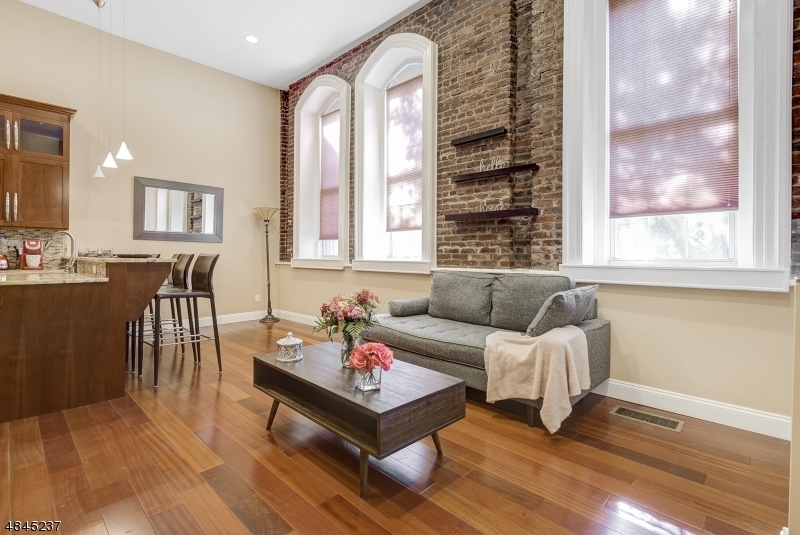 Along with high ceilings, and interior arched windows, there are exposed original brick walls. Updated hardwood floors throughout, a lovely kitchen with 48 " Cherry wood cabinets, granite countertops and breakfast bar, GE stainless steel appliances including a front loader washer and dryer. For wine lovers, there is a compact wine cooler for storage. A fully lavished marble bath with jetted tub and separate jetted stall shower. Both feature Toto toilets. Down payment assistance grant available. Approximate Lot Size: 39;139 S.F.